Electrical Input Power: 3.00 kW. T-220 Pratt and Whitney / Keldysh Research Center electric rocket engine. 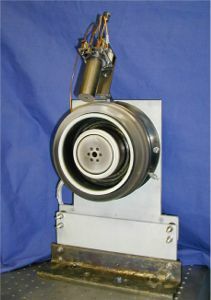 Development began in 1997 of this 10 kW Hall thruster Program concluded in 2000 following a 1000 hour erosion characterization. Country: USA. Agency: Pratt and Whitney.